American DJ Spool 5-Pin DMX Cable 300 ft. 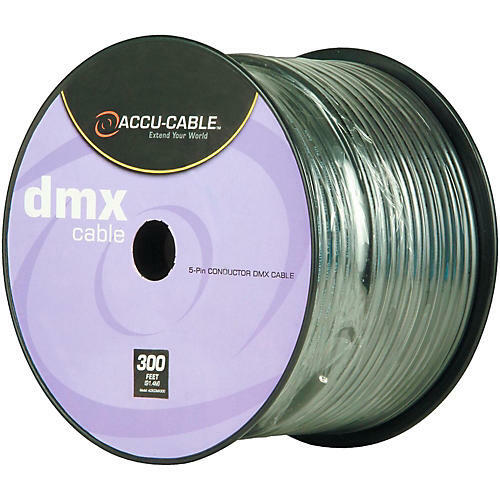 This cable features 22 AWG stranded (0.15 x 19 ) tinned copper conductors, polyethylene insulation, twisted pair, polyethylene inner jacket, Duofoil (100% coverage) and cotton plus a tinned copper braid shield (85% coverage). PVC jacket.